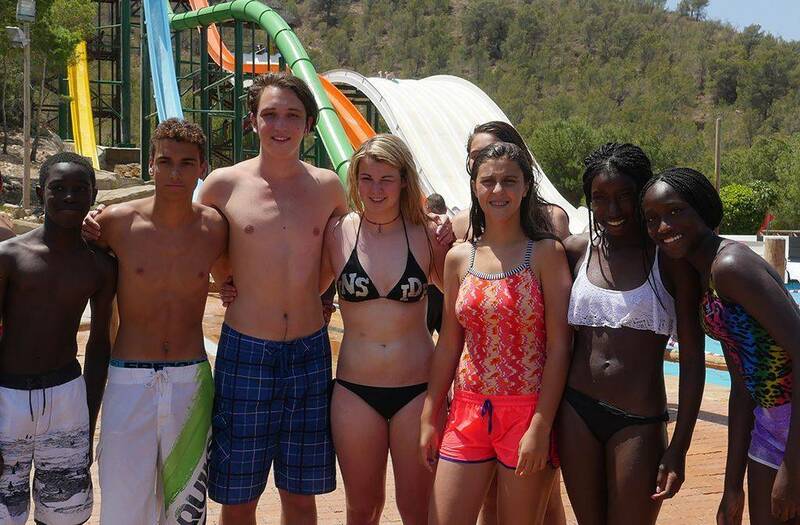 ISC’s summer camp for teenagers in Alicante is all about sun, fun, friendships, culture and having a great time. This all stems from the packages that we offer – the main ones being the combination of Spanish and sport or Spanish and leisure activities. Spanish is an enjoyable Latin language that is becoming increasingly popular and useful worldwide. There are already 450 million people who speak Spanish! 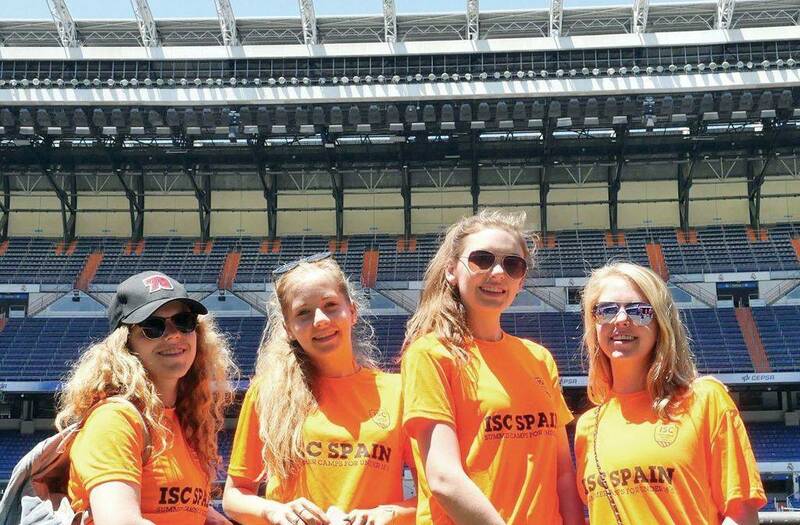 ISC’s aim is to promote the Spanish language and culture through education, sport and leisure activities in the city of Alicante. 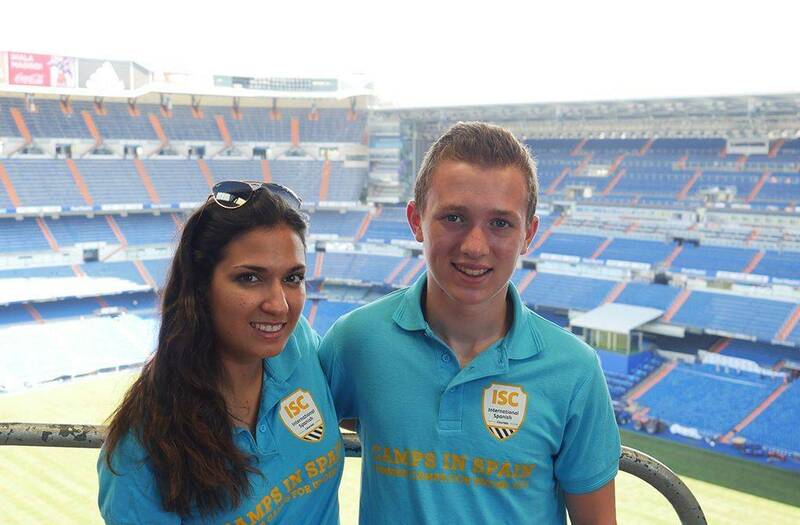 ISC International Spanish Camps is a European youth summer camp in Alicante, Spain. 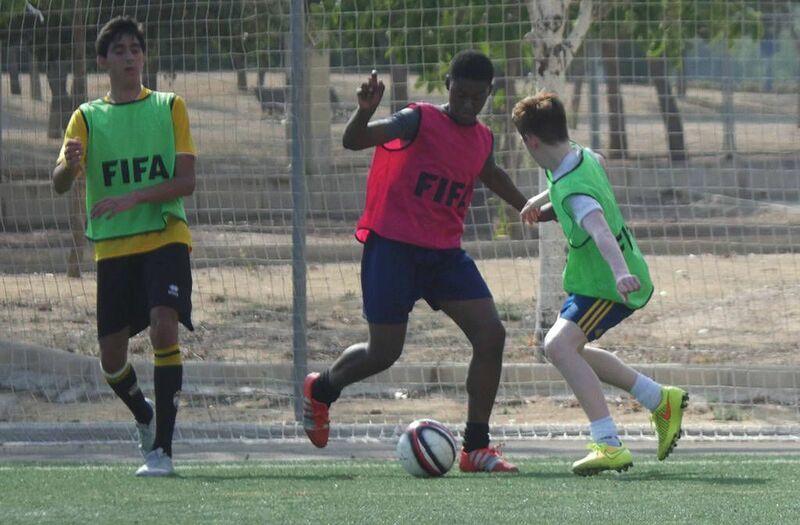 The camp is aimed at young people (13-18 year olds) from all over the world. We offer a multitude of summer camp activities for teenagers with a complete youth summer programme of language tuition. 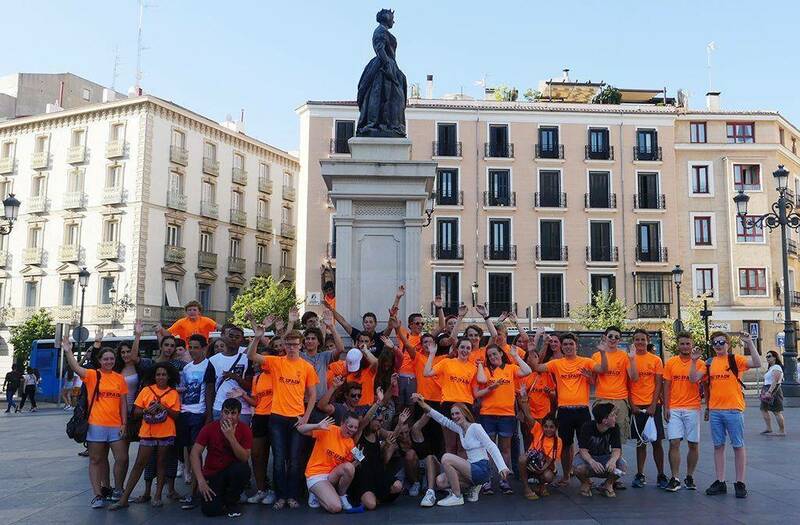 Learning the language and culture of Spain is the main focus of our programme. You will be able to learn and greatly improve your competence in Spanish in the classroom 4 hours a day, Monday to Friday. 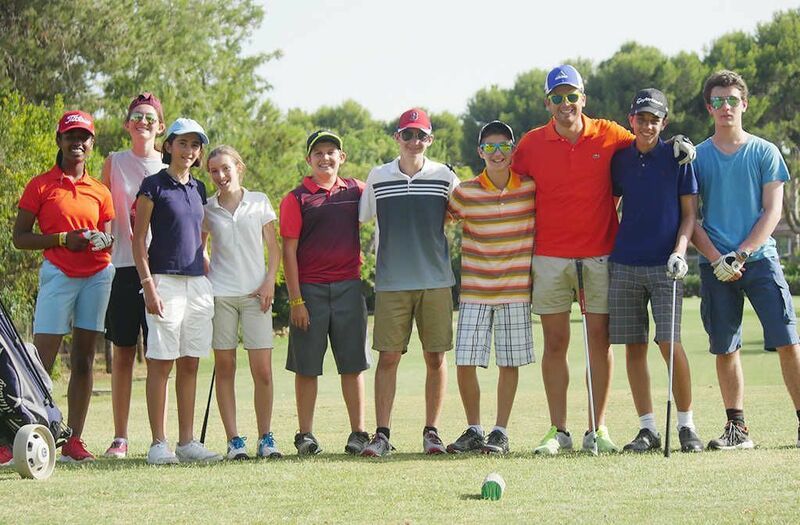 The lessons take place in small groups, which promote a dynamic and enjoyable environment that can be adapted to your level. The Spanish lessons are taught by our native teachers, they are specialists in teaching Spanish as a foreign language. ISC will be in charge of the teaching and will provide the certification of your learning achievements. Do you want to be a master of the sporting arts? 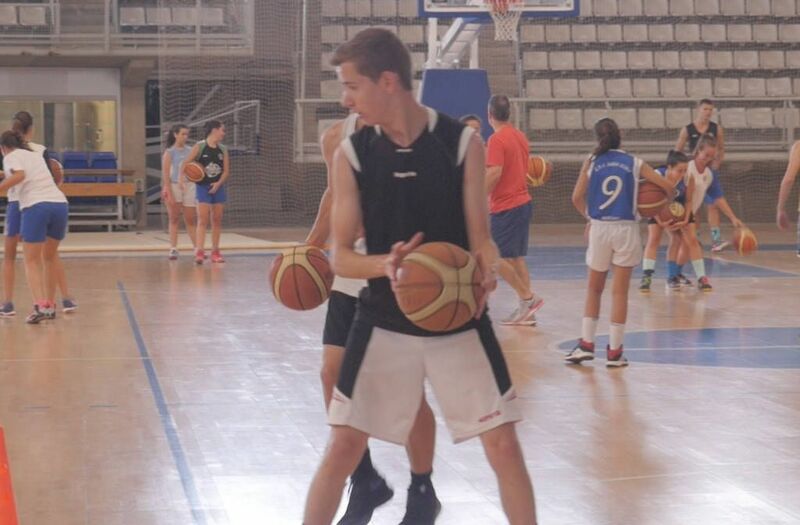 Do you want to be able to shoot, dribble, spike and catch with equal ease? If you do, then International Spanish Courses have just the thing for you! 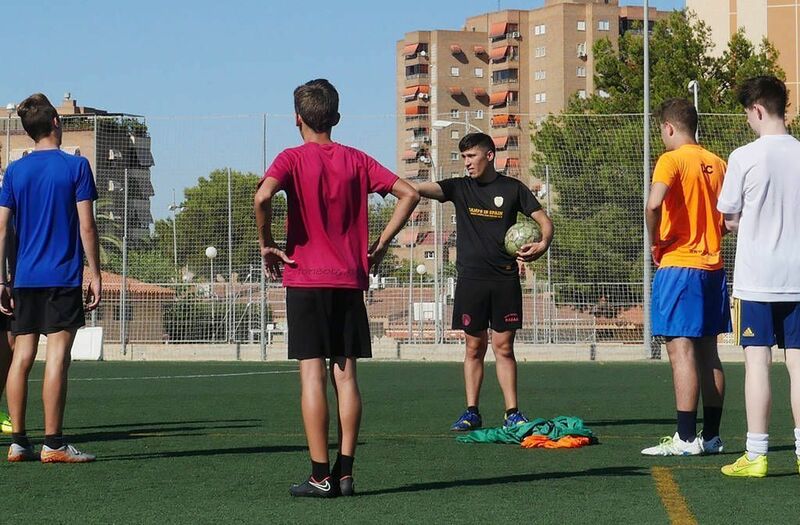 We’ve created this course for those people who want to play football, volleyball, handball and basketball in the Alicante sun. 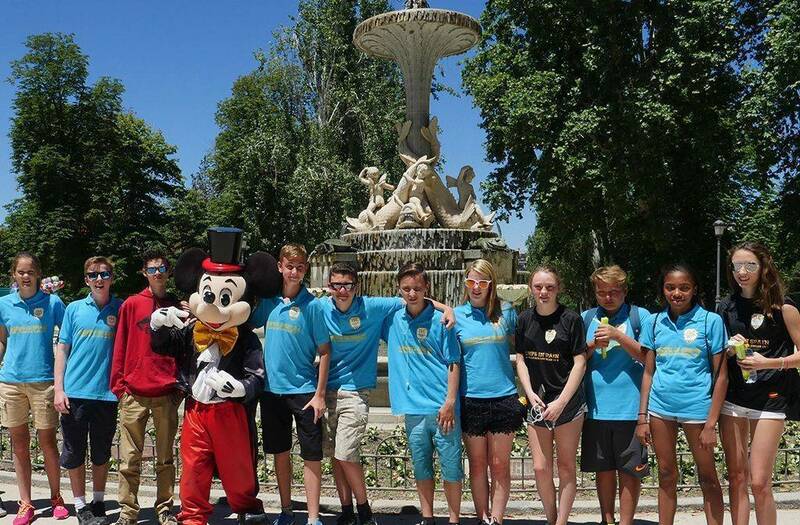 If you’re between 13 and 18 and want the experience of a lifetime then come and join us in one of the most exciting and vibrant cities on the Costa Blanca! You’ll get the chance to have a lot of fun while learning the finer points of the Spanish language. 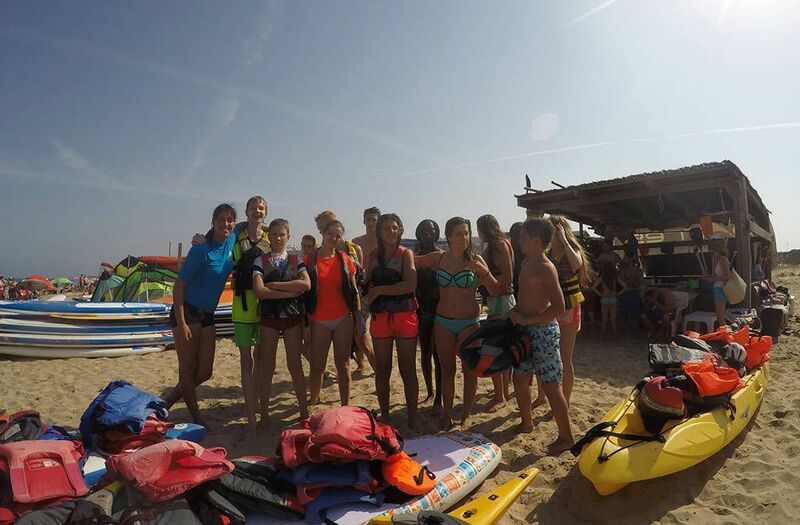 The different sports classes are taught at our campus and on the shores of Alicante beach which is one of the most famous beaches in the Mediterranean province. 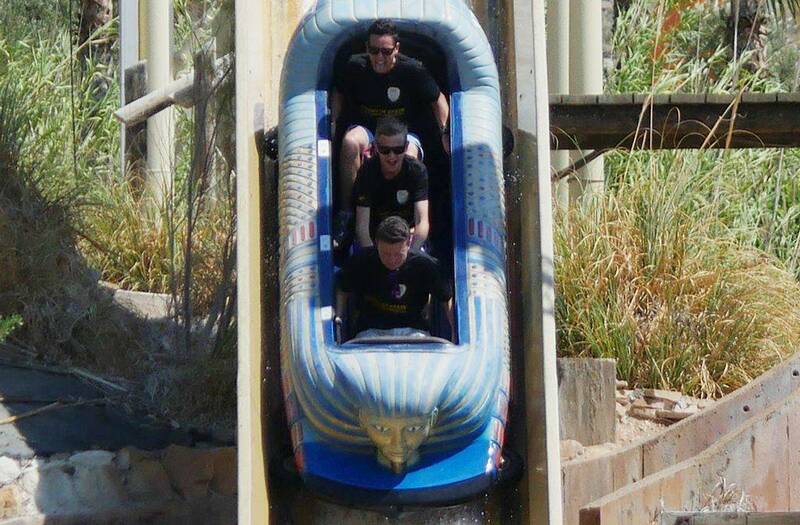 It doesn’t matter how good you are, it’s about enjoying the experience, whatever your level! Some people say that golf is just a good walk ruined, but we don’t agree! 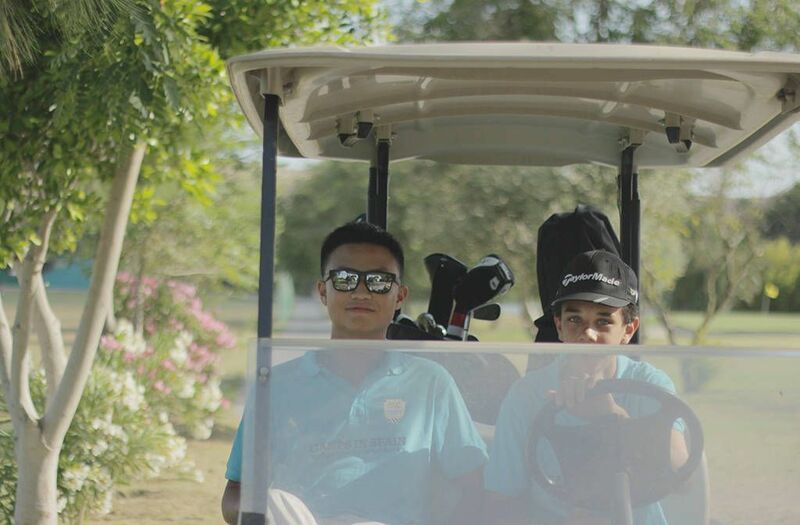 ISC have created a golf experience which encompasses all the majesty of this great sport. 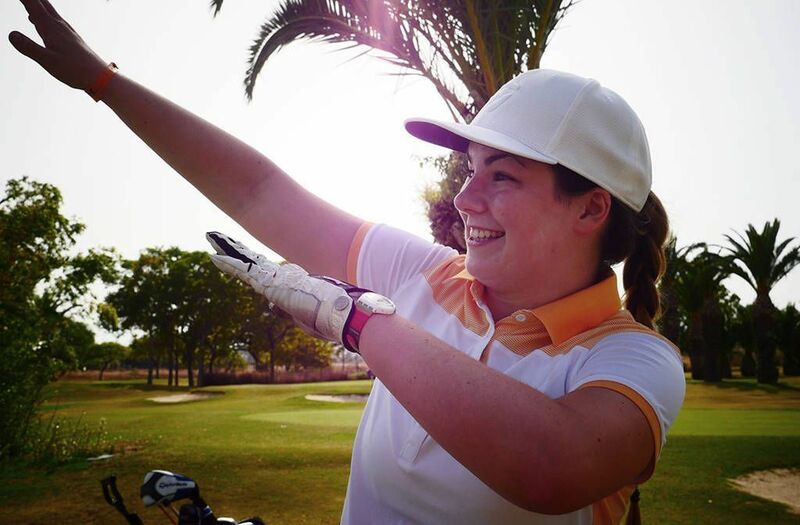 If you’re between 13 and 18 and fancy the idea of 18 holes in the sun, then this is the one for you! You’ll get to drive and putt on some beautiful courses, and make some great new friends! So while you’re working on your handicap, you’ll also get the chance to polish up on your Spanish too. 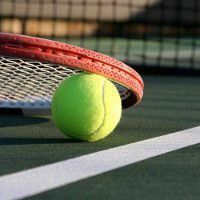 Do you want to be a master of the courts? 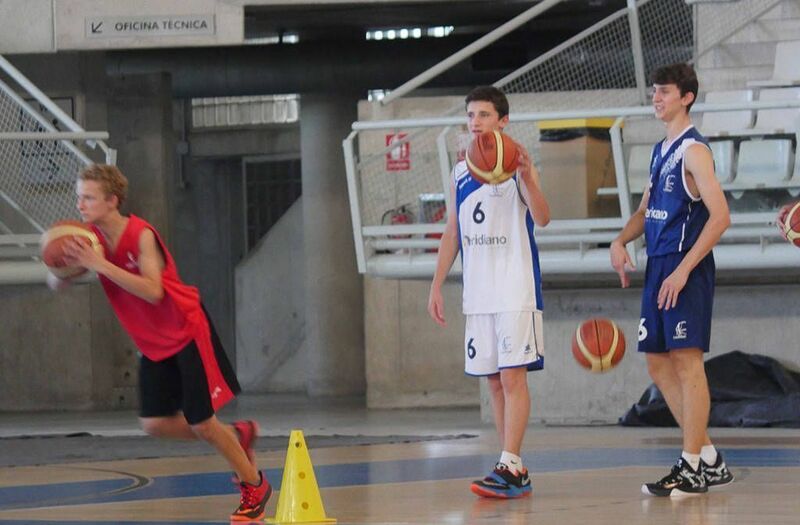 Do you want to be able to shoot, dribble and spike like Michael Jordan? If you do, then International Spanish Courses have just the thing for you! 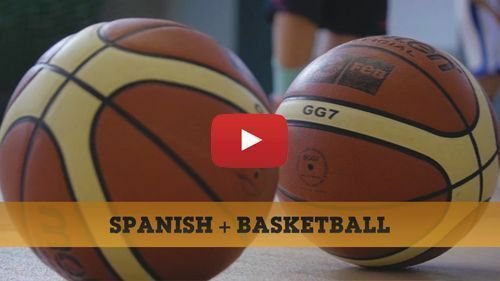 We’ve created this course for those people who want to improve their basketball skills and meet basketball players from around the world under the sunny skies of Alicante. 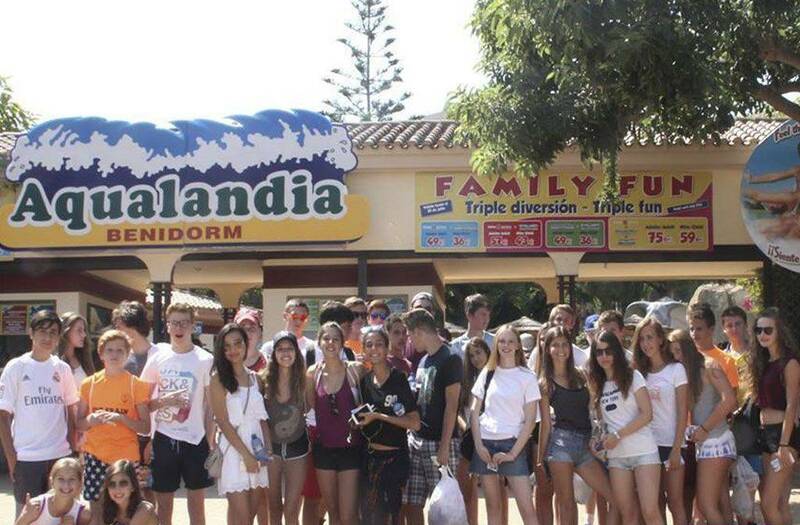 If you’re between 13 and 18 and want the experience of a lifetime then come and join us in one of the most exciting and vibrant cities on the Costa Blanca! You’ll get the chance to have a lot of fun while learning the ins and outs of the Spanish language. 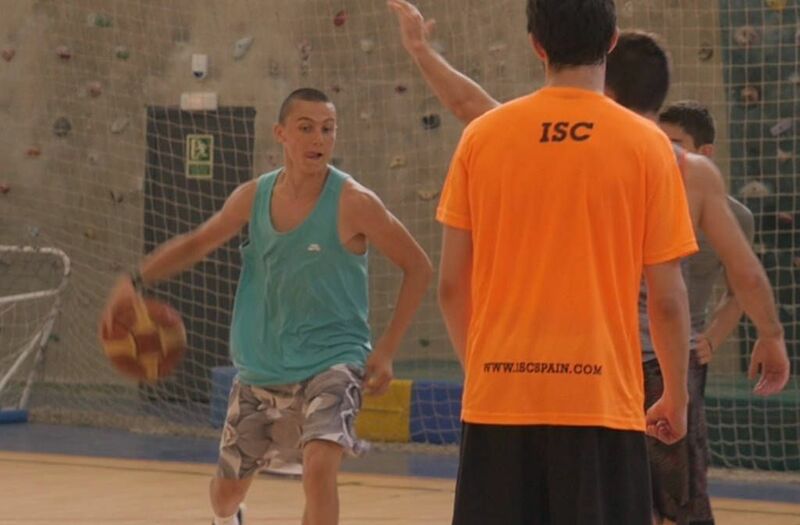 The basketball classes take place on ISC’s campus and on Alicante beach, one of the most famous beaches in the Mediterranean area. 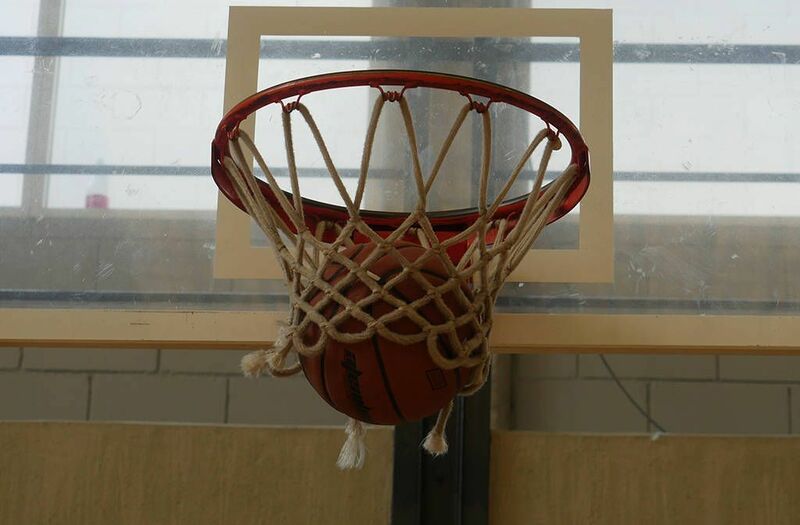 It doesn’t matter how good you are at shooting hoops, all you need to worry about is having fun and enjoying a unique experience. 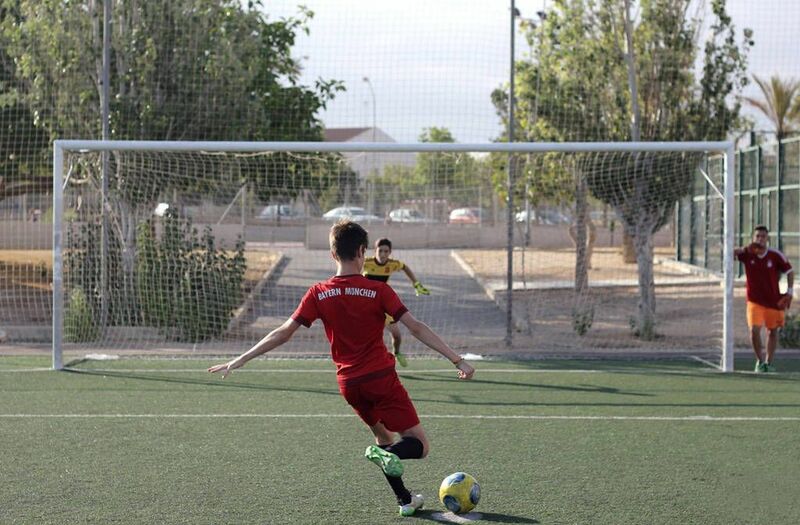 Spain is home to some of the best football in the world! 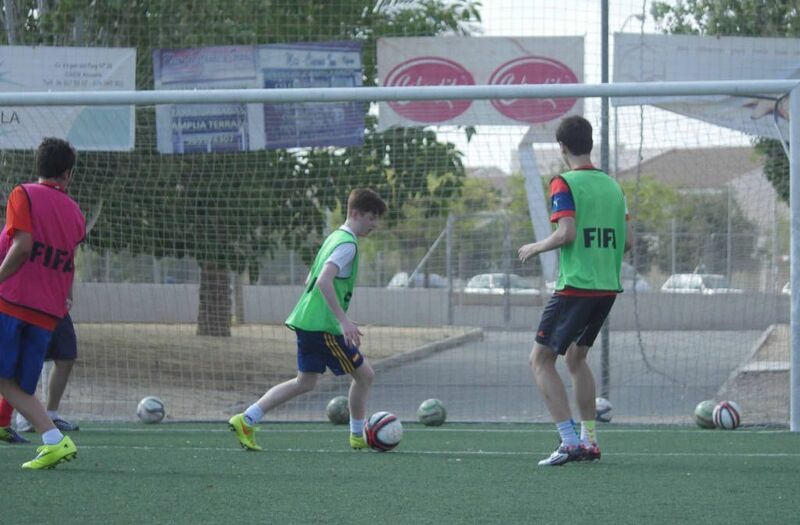 And here at ISC, we are offering you the chance to come to Spain to develop your footballing skills. 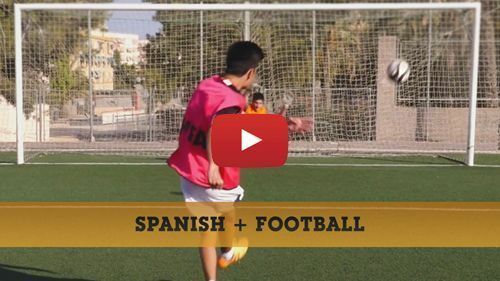 This tailor-made experience will help develop not only your football, but also your Spanish. 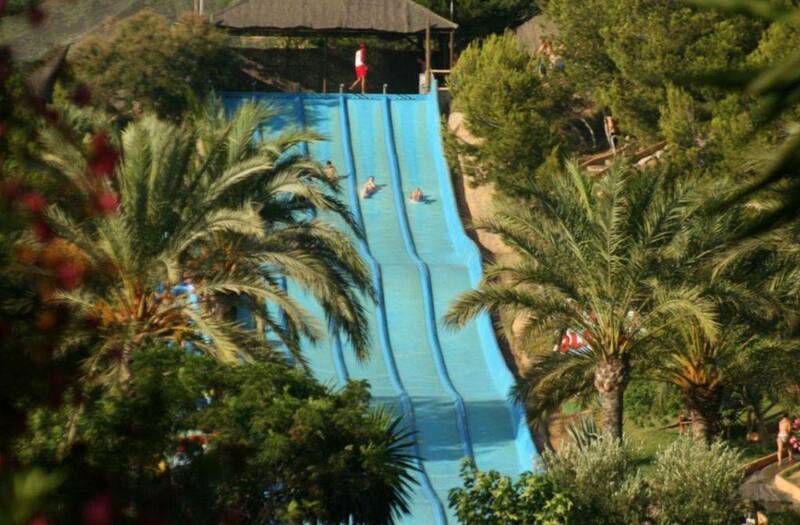 On top of this, you will be making friends with people from all over the world in the beautiful Alicante sun! 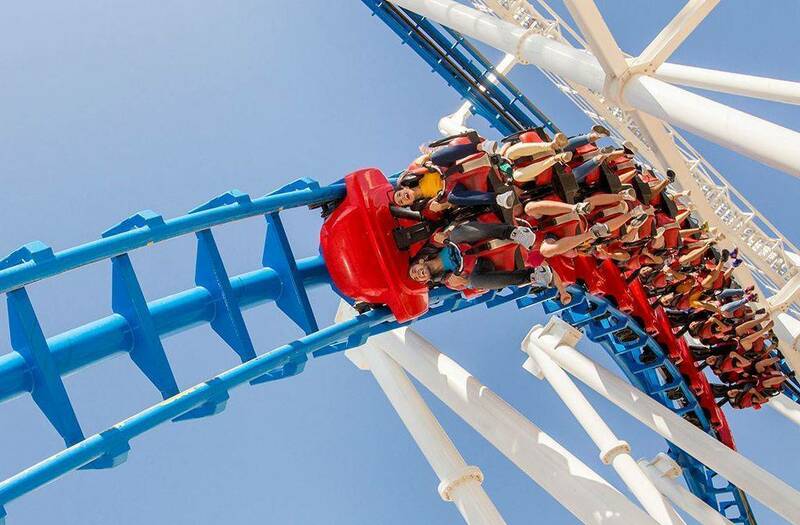 So, if you’re between 13 and 18 and you’re in the mood for one of the best summers you’ve ever had then make sure you come and pay us a visit! 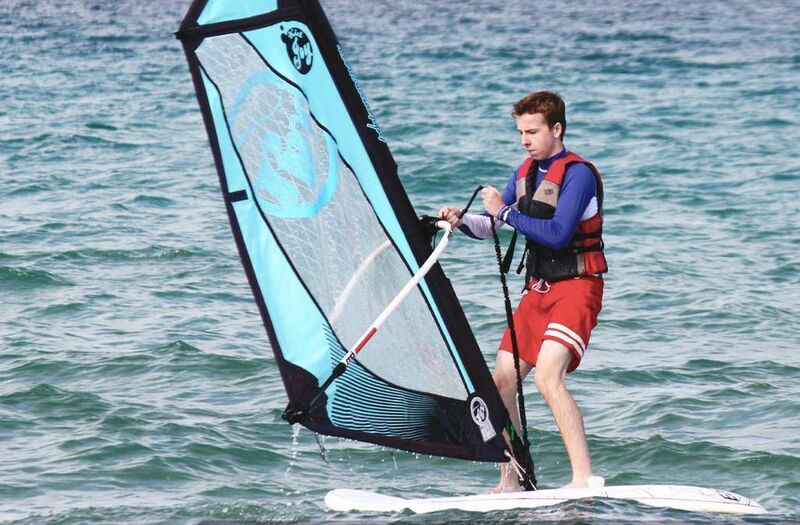 Alicante is a place well-known for its brilliant beaches and it boasts some of the best places in Spain to try your hand at watersports. 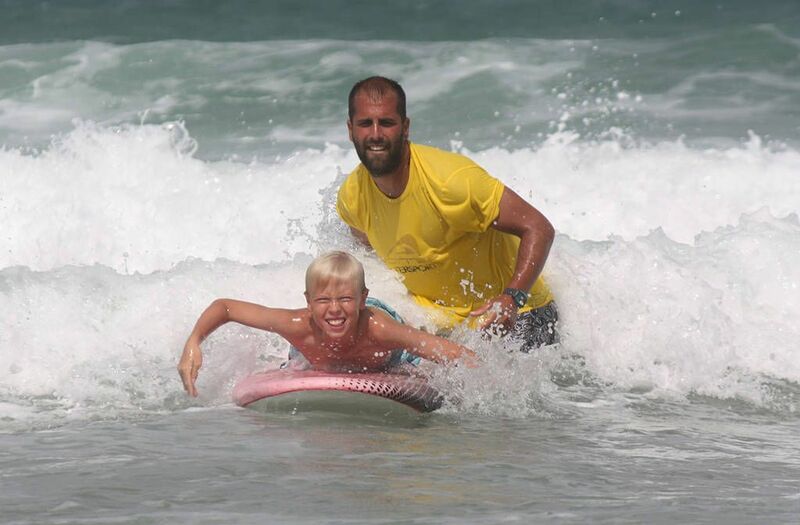 And ISC is offering you the chance to experience that first-hand, with the possibility of trying out surfing, windsurfing, sailing, kayaking and a whole host of other watersports in our summer camp package. This relaxed, informal setting is perfect for picking up the language and hitting the waves. 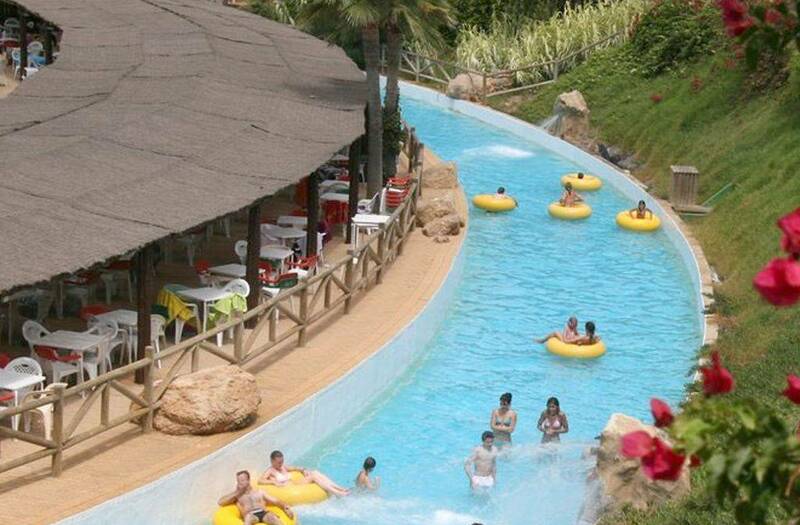 If you’re between 13 and 18, and want to have fun in the sun then this is definitely the experience for you! 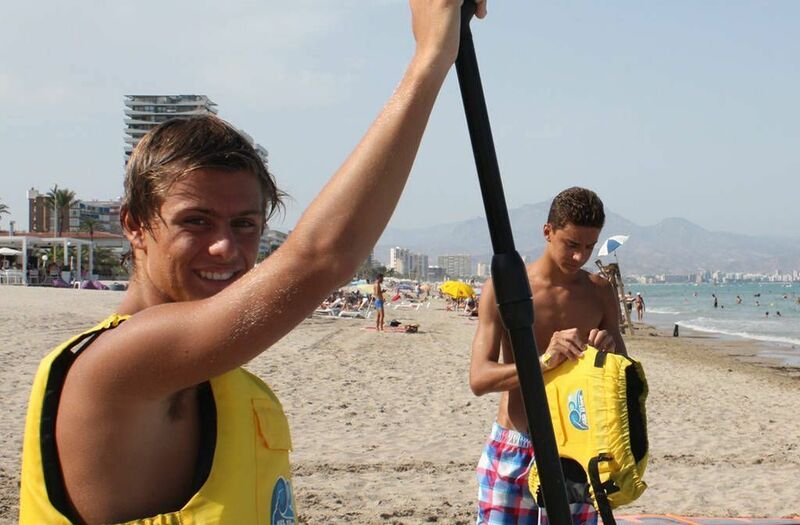 The watersports classes are taught on San Juan beach, one of the most popular beaches in not just Alicante but the whole of Spain. Whilst enjoying the wonderful climate, students will be taught by specialists in each water-based discipline. 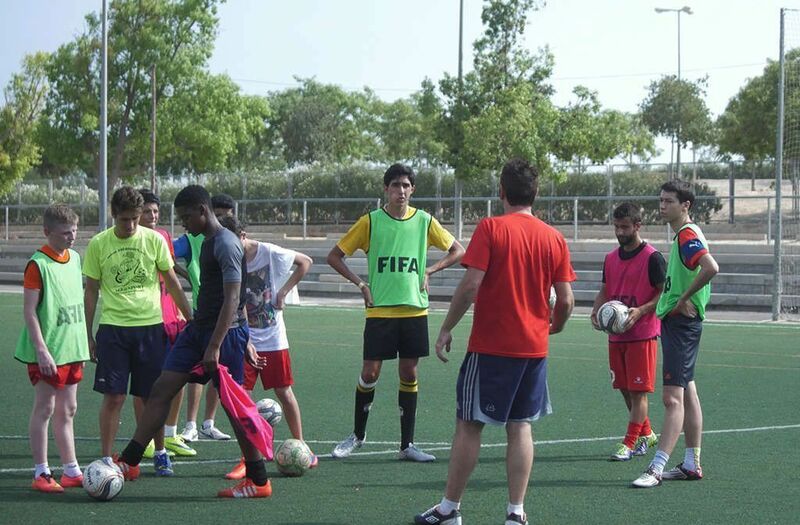 Inexperience is not a problem as ISC has three different levels to cater to the different levels of the students. Are you between 13 and 18? Do you like boats? 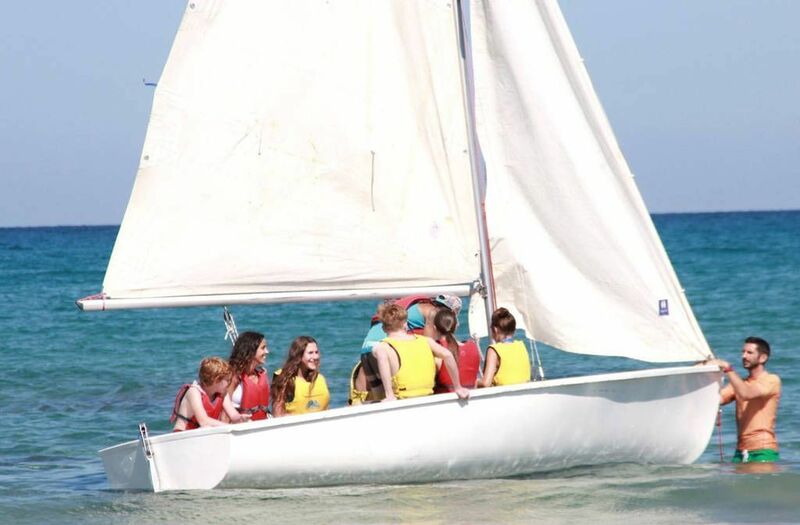 Our sailing experience is a programme designed for those people who are interested in gliding along the water. 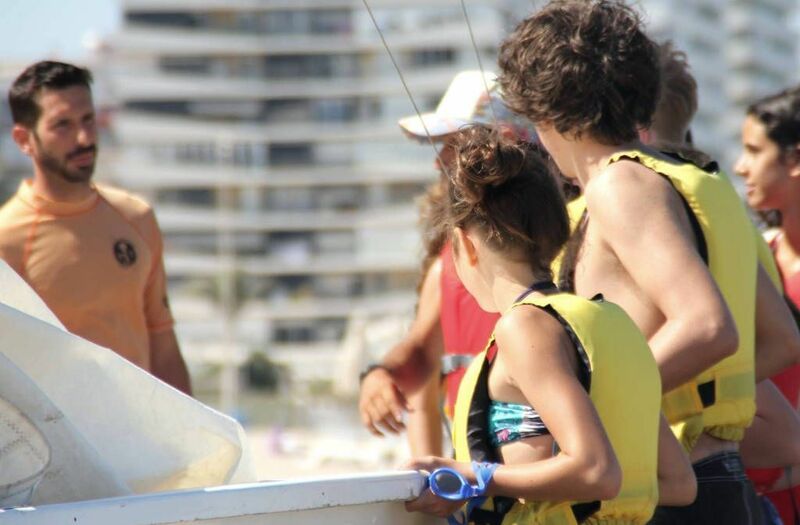 Whether you already know how to sail or want to try out a new fascinating sport, the sailing experience will give you the chance to feel the thrill of guiding a boat on the Mediterranean! 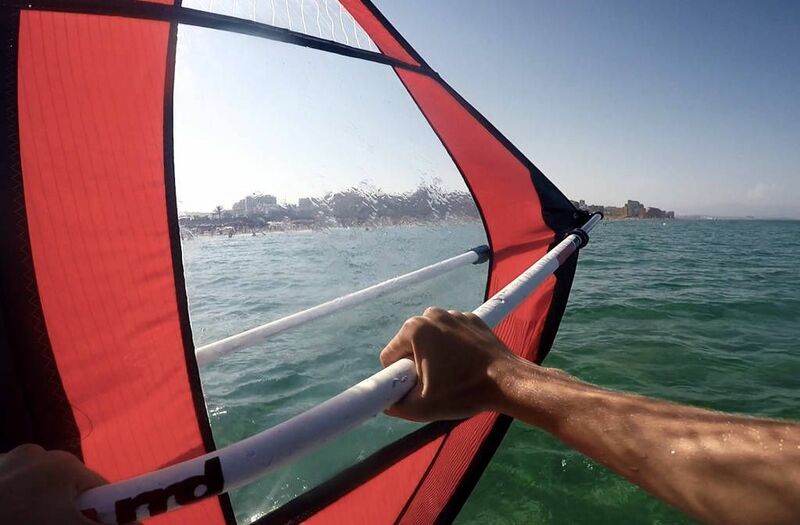 Come to Alicante for a unique sailing opportunity! 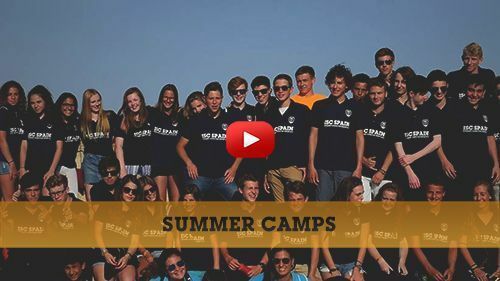 It is no coincidence that ISC Spain have one of the best sailing summer camps in Europe when we take into account the certified coaches, the excellent location, San Juan beach and the unbelievable Mediterranean climate. 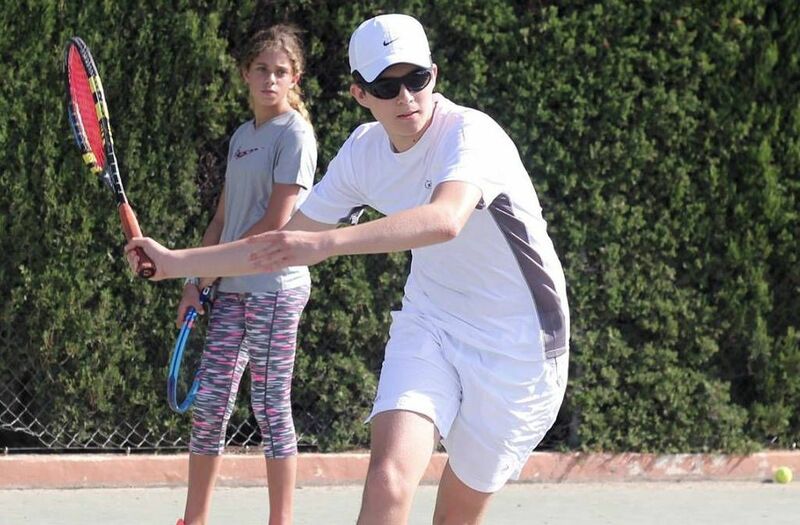 Tennis is a great sport to play in the sun, and where better to find the sun than in Alicante?! 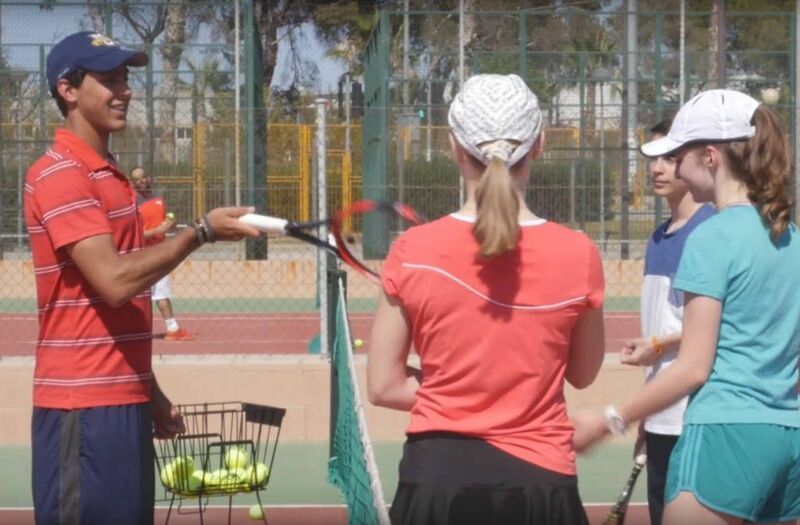 ISC have designed a programme which will not only work on your forehand, but your Spanish too! 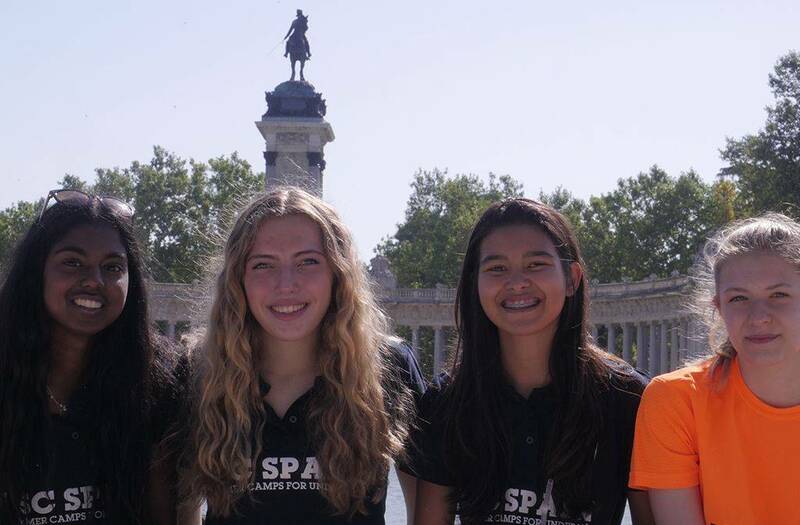 You will get the opportunity to meet young people from all over the world, discover fantastic cities and learn the language while enjoying the sport you love! So, if you're between 13 and 18 come and have lots of fun with our tennis experience! Volleyball has been on the rise for years now and the Olympics always show the world how great the sport is and how much fun can be had playing it! Are you between 13 and 18? Are you a big sports fan? Then this could be right for you! 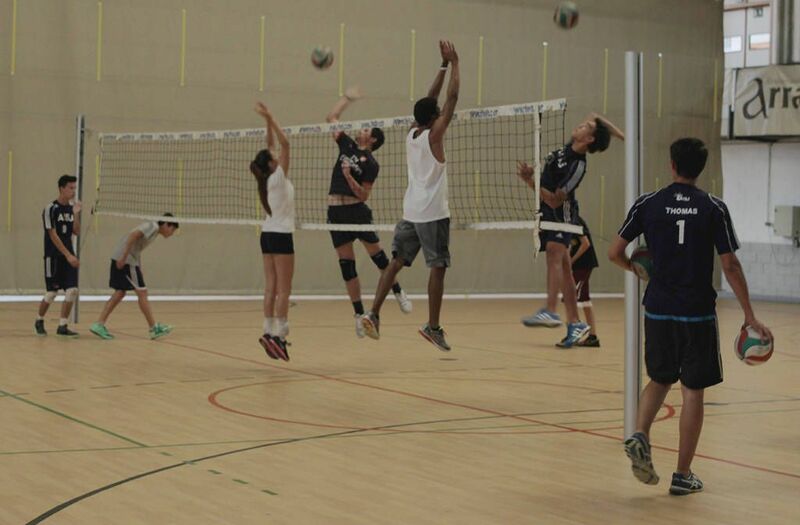 ISC’s volleyball package is a programme designed for people who want to learn Spanish and also want to play volleyball in the Alicante sun. 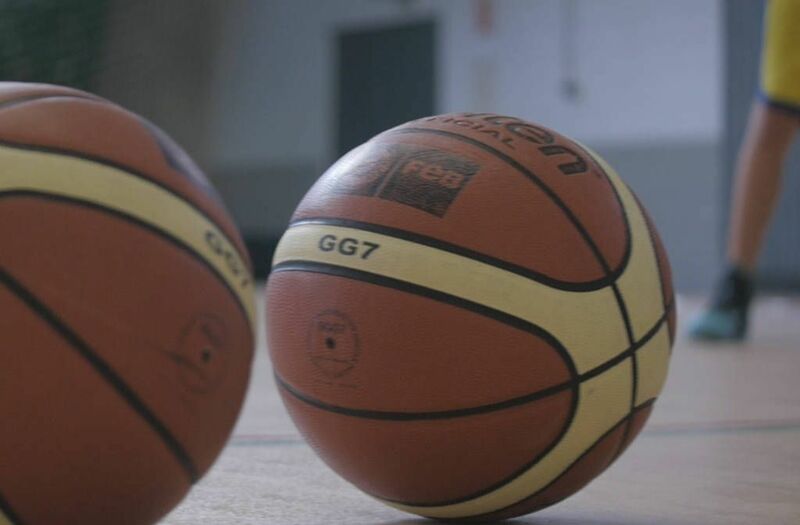 Whether you already know how to play or want to try a new sport, this package lets you enjoy and practise at your own speed. You will meet people from all over the world, discover fantastic cities and learn the language while enjoying the sport that you love! 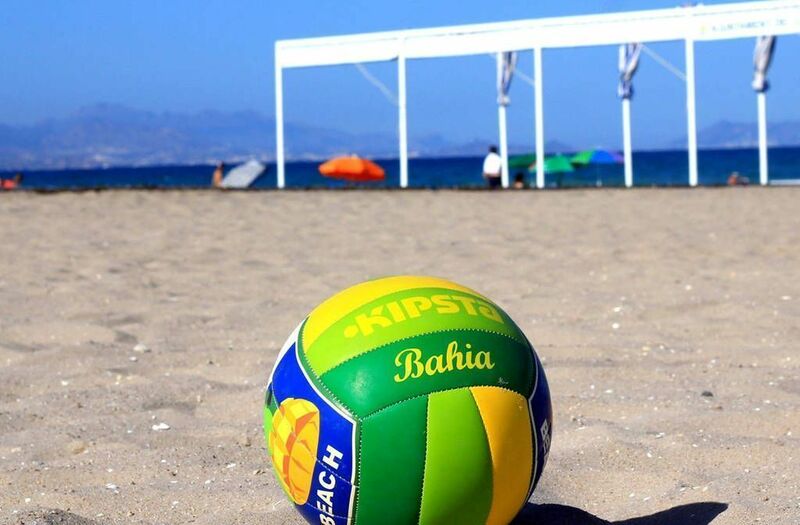 The volleyball classes take place at the ISC campus and on Alicante’s beach, well-renowned as one of the best Mediterranean beaches around. 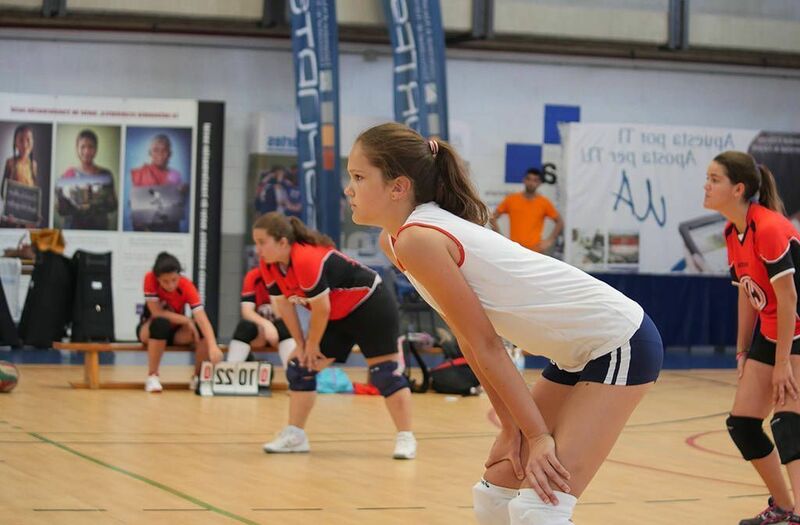 Your volleyball level doesn’t matter as you get lessons depending on your ability so just worry about having fun and enjoying a unique experience. 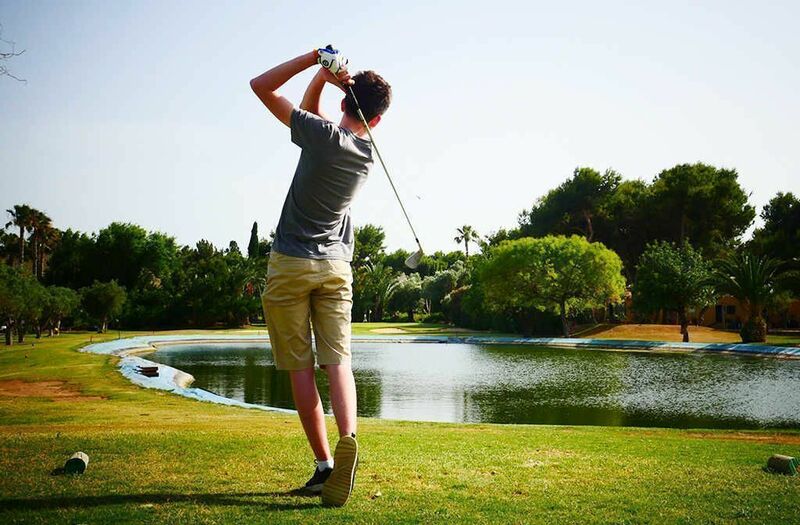 If you are between 13 and 18 and like a variety of sports then you might want to choose the personalised package because it allows you to create the package that suits you. Whether you want to stick to a sport that you know, or want to try something completely new, the personalised experience gives you what you want. 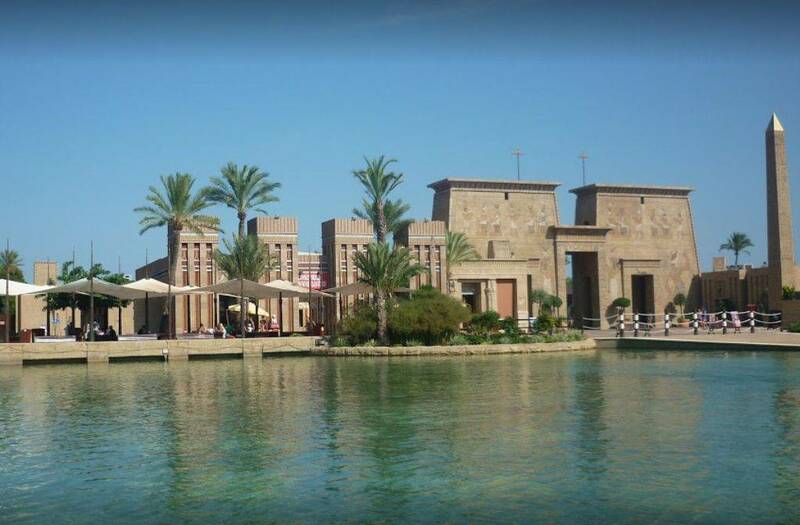 This package is available for people who wish to spend more than one week at ISC. 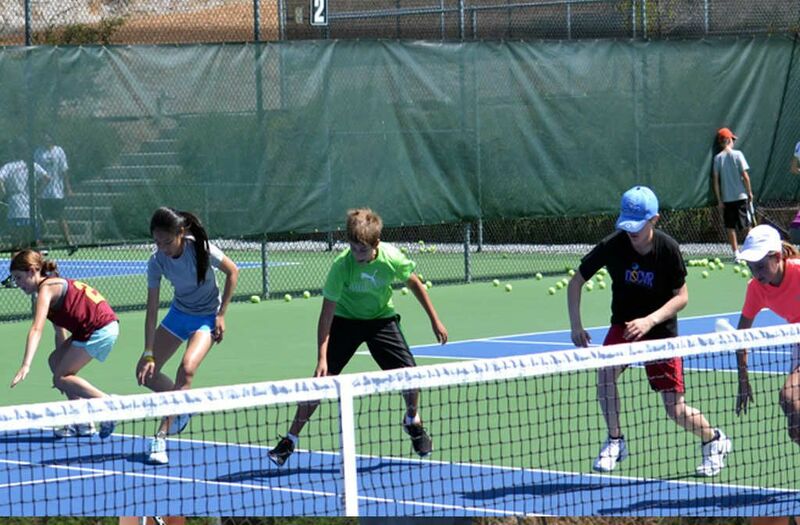 If you spend two weeks with us, you can do one sport for the first week and another for the second week. 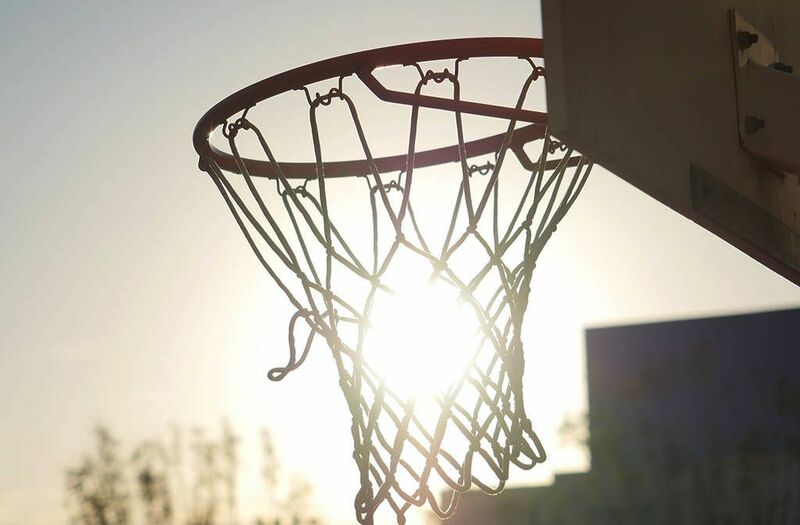 If you spend three weeks, you can try out three different sports and so on. 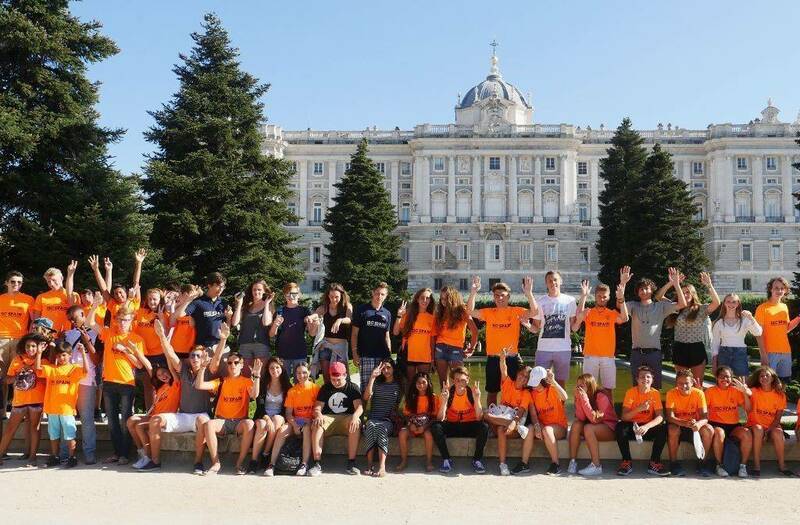 You will also get the chance to meet young people from all over the world, discover fantastic cities and learn the language. 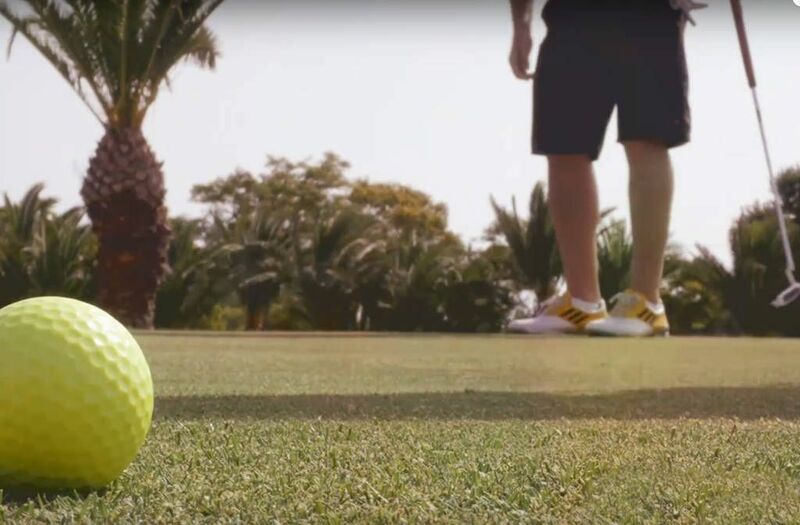 The personalised package gives you the chance to choose from all the different sports that ISC offers: tennis, golf, watersports, football, volleyball, multi-sports, sailing, windsurfing. 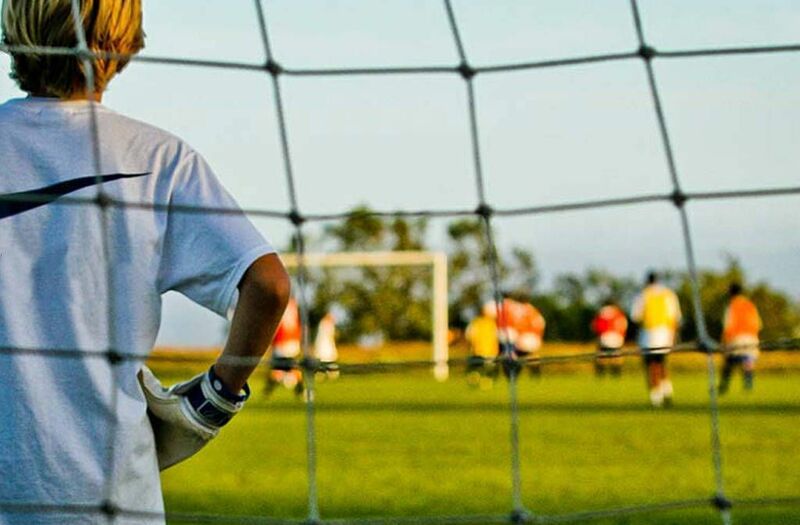 If you stay more than one week, then you can choose a different sport for each week of your stay. Unfortunately, this package is not available for those who only wish to spend a week at ISC. 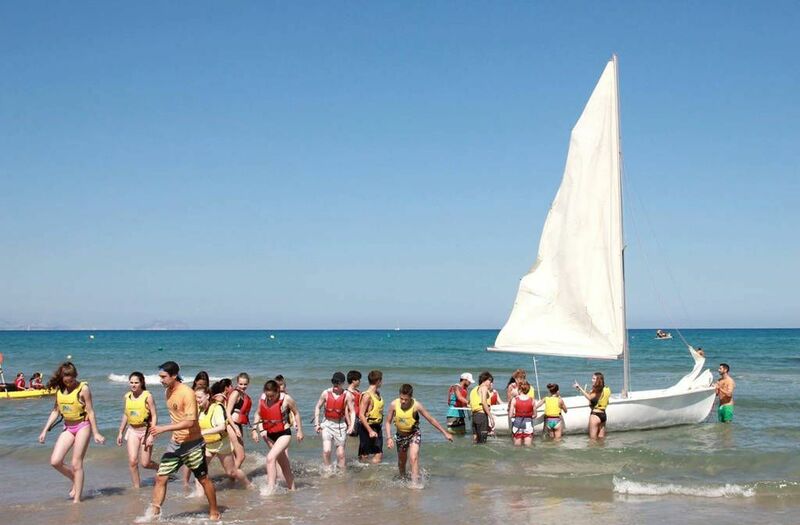 This summer camp package takes place in Alicante, Spain; With an average of 300 sunny days a year, and an average temperature of 18 degrees, this coastal city is one of the most desired Mediterranean tourist destinations. Campers fly into 'El Altet' airport just outside of Alicante, which annually opens its doors to over 4.5 million tourists. 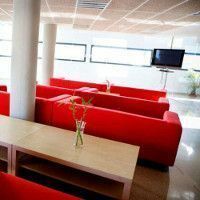 All of our students will be staying at ISC Campus next to the University of Alicante and just a few steps away from where they will have their Spanish lessons. Students will spend a major part of the time during their stay there, that's why its facilities and amenities are of great interest to us. The campus' facilities and rooms provide all the homely comforts and luxuries eager campers will need - television, free WiFi, a telephone and air conditioning as well as a fully equipped kitchen, with a microwave, a sink etc. 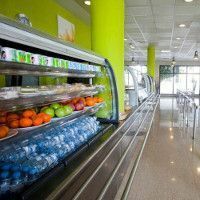 Here at ISC Spain we take care of all the little details, so that each and every one of our students can feel at home. 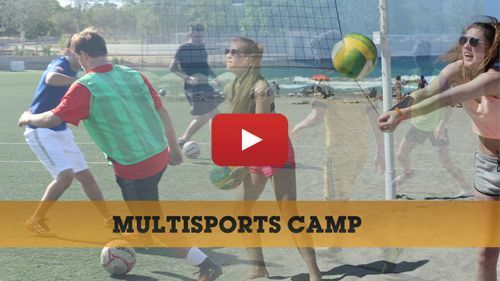 In addition to getting the chance to partake in several different leisure activities and learning one of the most valuable languages in the world, campers will be able to enjoy a wide range of cultural activities. 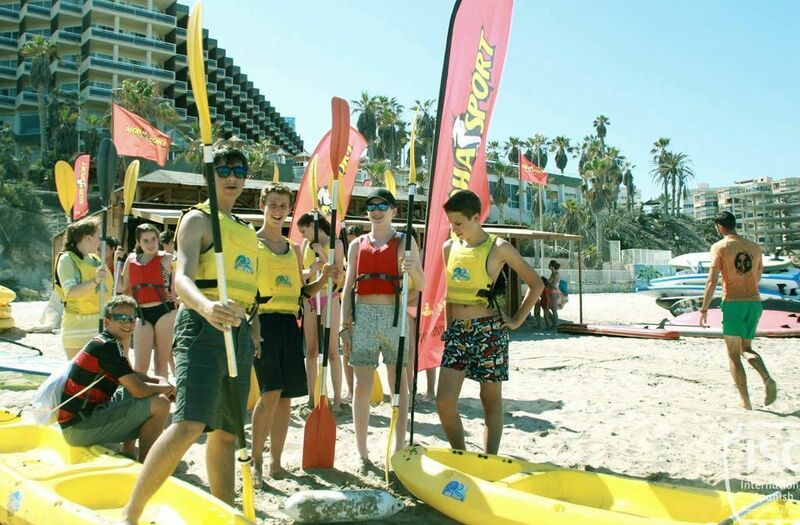 Several evening activities are organised every week, ensuring that campers are never bored; Likewise, during their week-long stay in Alicante, campers will be able to partake in various cultural and leisure activities such as visiting the castle of Alicante, walking around the fishing town of Campello, visiting the MARQ museum in Alicante, karaoke nights and bowling, as well as trying typical Spanish cuisine and much more. 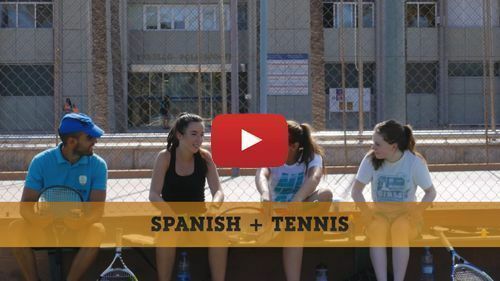 Spanish people are fun, extroverted and have a very cheerful demeanour - Spanish culture and society will definitely surprise eager campers; What better way to discover the culture than immersing yourself in it whilst learning an amazing language! 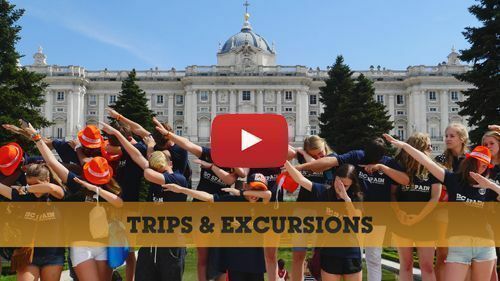 Located in the centre of the Iberian Peninsula, Madrid is a fascinating city bursting with history, culture and incredible secrets, all of which our campers get to discover during our trip to the capital! Egypt, Greece and Rome to name just a few. 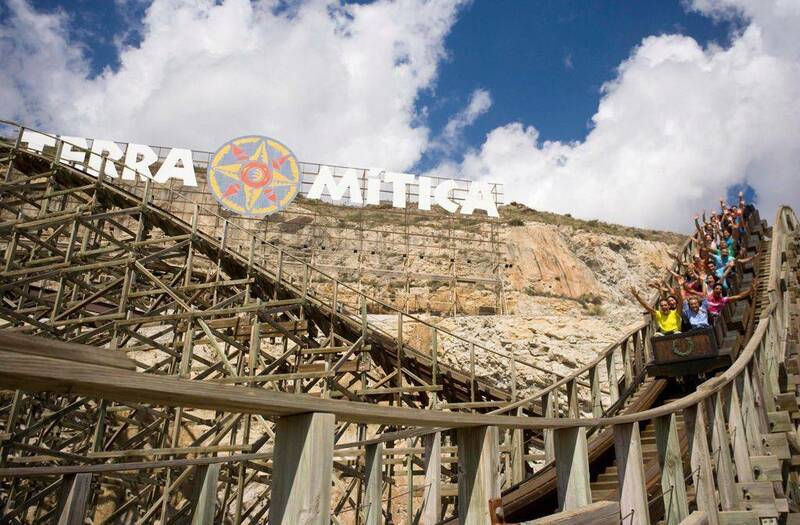 Ancient civilizations is the theme for the rides at Terra Mítica - an amusement park in Alicante where campers can have fun and learn about ancient history at the same time. That's not the end of the fun and games, though! 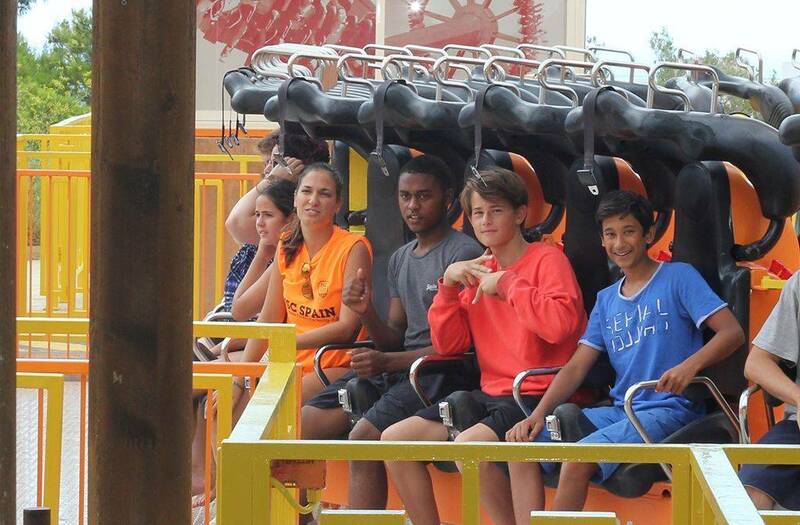 Campers also get a trip to the seaside with ISC. 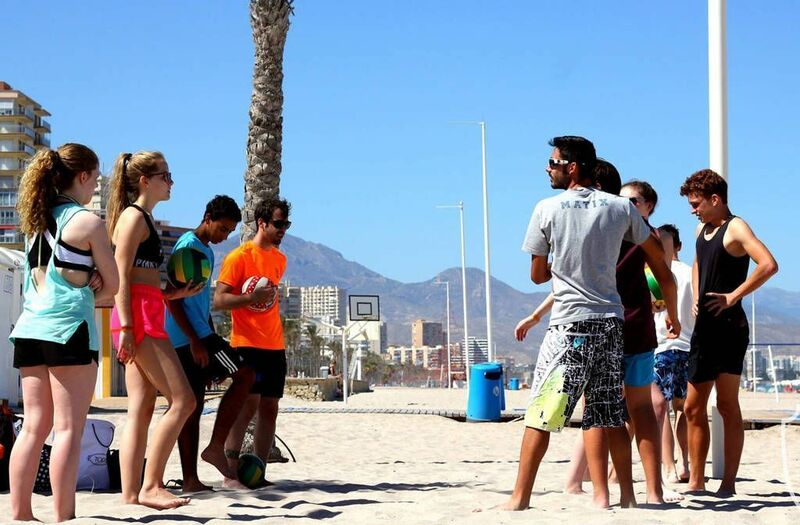 It's a time for relaxation, enjoying the lovely Alicante weather and beach games. Football, volleyball and swimming are all on the menu to ensure the campers won't go hungry at the beach! 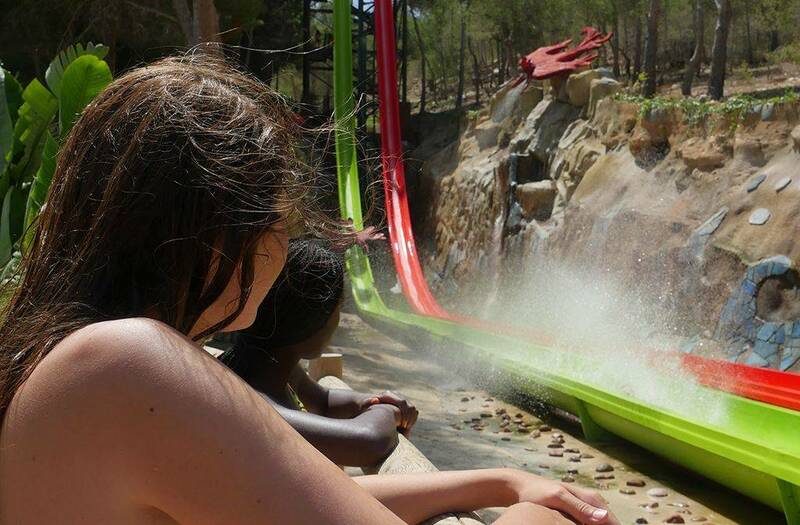 Since opening in 1985, Aqualandia has become one of the greatest attractions in Alicante for young tourists; Campers will visit and enjoy all of its facilities and attractions such as slides, pools and more in a controlled environment under the watchful eyes of ISC monitors, guaranteeing their safety at all times. ISC staff will be waiting at the airport for the students and will take them to the ISC Campus. If a student requires an individual transfer from the airport (e.g. if they take a different flight or if they are travelling on their own), they will also be picked up by an ISC group leader. Our monitors make the trips to and from the airport to pick up the students in our private vans and buses or we use experienced transport companies that we are in partnership with. 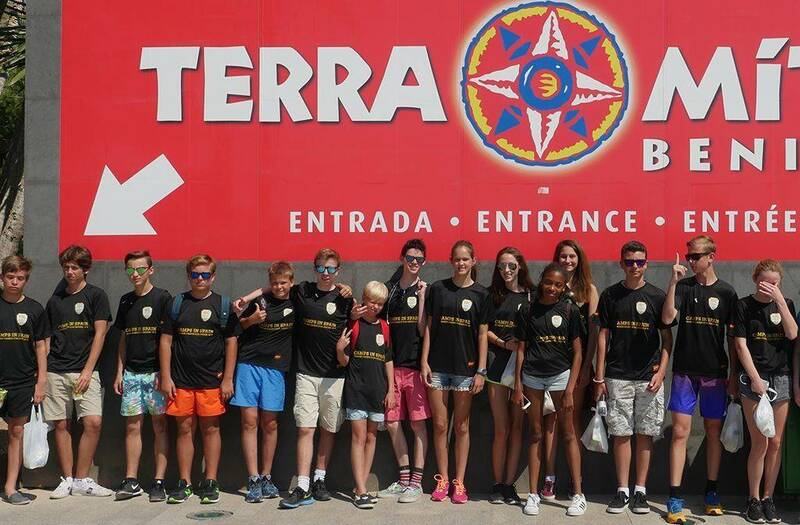 From the arrival at Alicante airport, students do not have to worry about anything apart from learning and enjoying their stay, we deal with everything else. Upon their arrival at the airport, all students will be constantly supervised and monitored by our group leaders! 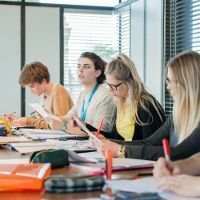 Our staff to students ratio is 1 instructor for every 10 students and they will be responsible for accompanying students throughout all their daily activities, they will make sure they are OK and will be on hand to help when they have any questions or doubts. Learn and perfect the Spanish language in Spain. Explore our diverse culture by visiting up to 3 Spanish cities. 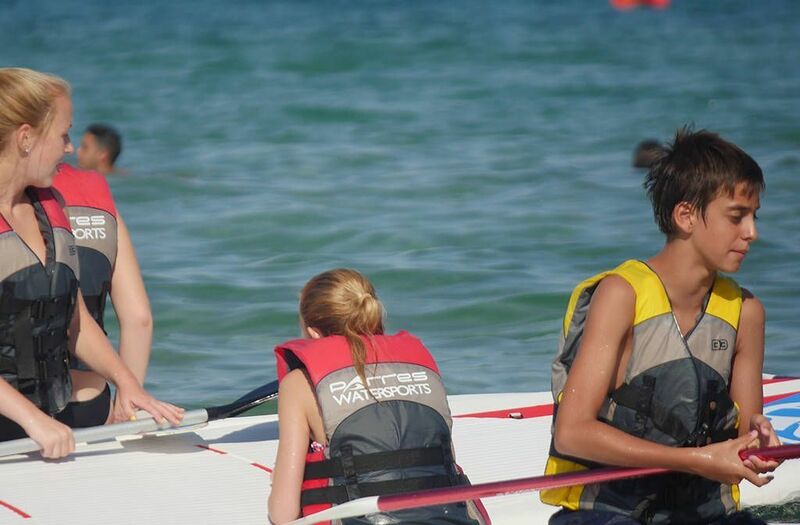 Students enjoy their stay while participating in their favourite sport. 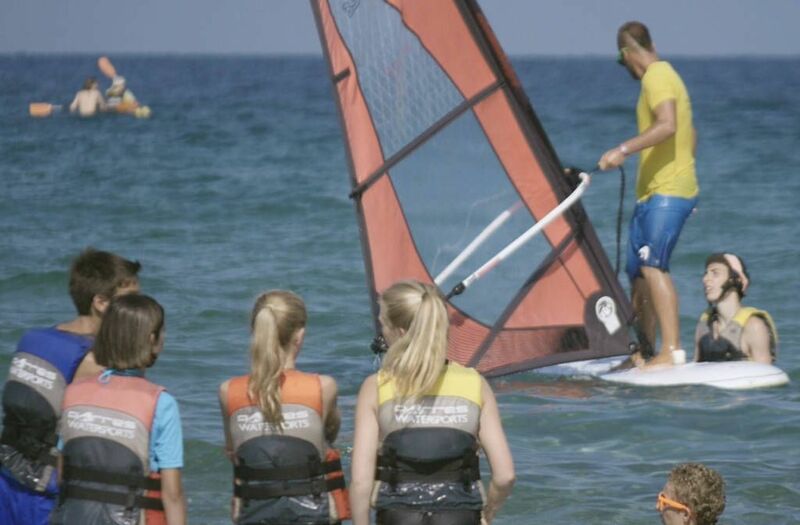 Experience the numerous activities that ISC and Alicante has to offer. 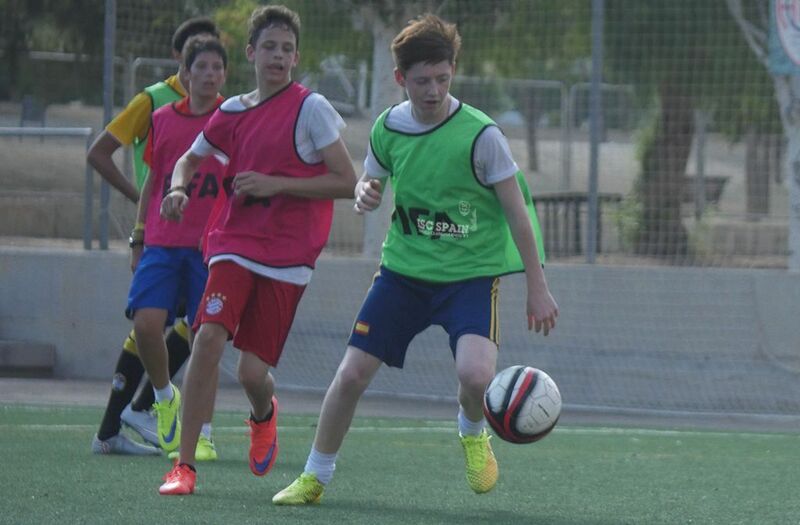 ISC International Spanish Camps offers the chance for students from all over the world to come to Alicante and enjoy a unique experience. This is a great opportunity to develop not only your child’s language skills, but also their interpersonal skills. They will have the time of their lives while gaining hugely useful strengths for their future career. 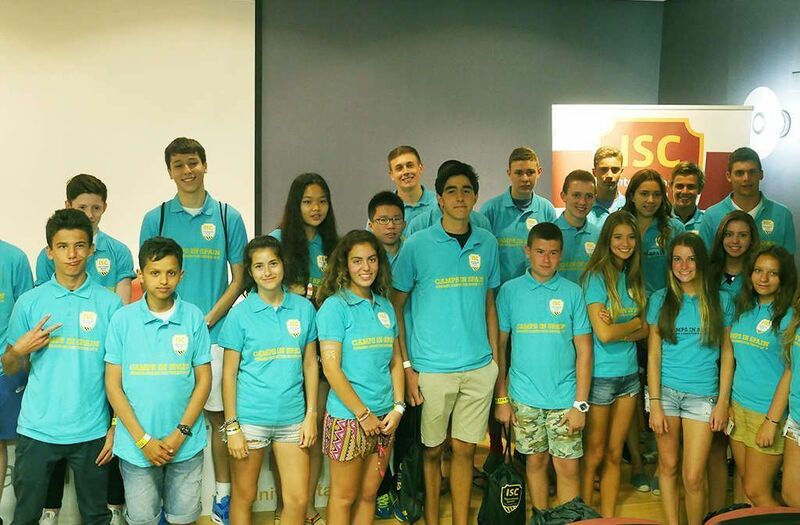 Come to ISC, learn and have fun at our summer school in Spain!